Stephen Dydo has written for a wide variety of media, and his works include chamber, orchestral, choral and electronic pieces. Some performers of his compositions include the Silk String Ensemble, Gregg Smith Singers, Stitching Combinatie van Utrechtse Muziekbelangen, New Calliope Singers, Group for Contemporary Music, and the New Jersey Percussion Ensemble. In addition to his work as a composer, he also appears as a classical guitarist and qin (Chinese lute) player. His performances on the qin and his own invention, the electric qin, have attracted attention in Europe and Asia as well as in the US. 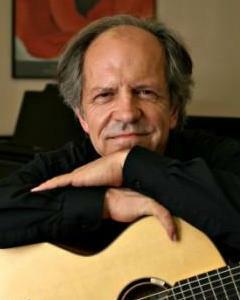 He has also appeared as a guitarist and conductor with various new music groups. His awards include the Bearns Prize and a BMI award. He developed computer music at the Instituut voor Sonologie in Utrecht for two years under a Fulbright fellowship, and has received fellowships from Meet the Composer and the Johnson Composers Conference. Recent commissions have come from Cheng Yu, Tomoko Sugawara, the Maidstone Arts Council, OutLINE Amsterdam, and Rebus Touring Music and Art. Dydo’s recent music often has an involvement with ancient music. He wrote the music for Mark Dickens’ production of Dante, using music of Dante’s time for source material. Recently, he has collaborated with the English artist Susan Haire on a number of projects, all involving music unfolding in space as well as time: One, riverrun, was a reflection on the power of water in classical Chinese painting and music; another, La vita nuova, was directly influenced by their involvement with the Dante project. Their show entitled Ten thousand currents showed for six months in 2009 in Maidstone, Kent. In 2010 they mounted two shows in the Netherlands, at the OutLINE Amsterdam and the International Water House in The Hague. Dydo has also written pieces for Asian musicians using 8th century sources; these have been performed throughout the world. These works include pieces for harp, pipa, qin, and Chinese chamber ensembles. In 2007, he conducted his orchestral concerto Pozhen Yue, based on ancient Chinese court music, at the British Museum. Stephen Dydo received his higher education at Columbia University, where he studied with Chou Wen-Chung, Mario Davidovsky, Harvey Sollberger and Charles Wuorinen; in addition, he received instruction from Milton Babbitt and John Cage. He has taught composition and theory at Columbia University, the New School and William Paterson College; he now teaches at the Greenwich House Music School in Manhattan and the Crestwood Music Center in Westchester. He is a founder and the current president of the New York Qin Society.